An all around great place to enjoy a summer day. There is a small, but pleasant beach and is a fantastic spot for swimming, kayaking, canoeing or just relaxing. There is a small parking area. Save 12.45% Rent before July 1 and avoid the new Mass.Lodging Tax! Cape beautiful, beach deserted! 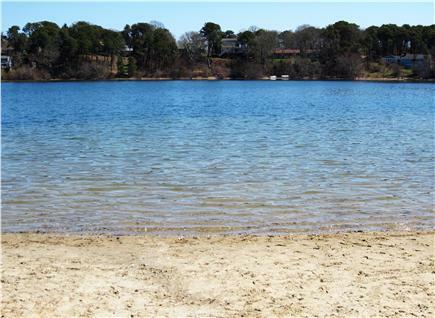 Distance to beach: About 1 mile from Ridgevale and Hardings Beaches.